Daan Kromhout has contributed to various facets of public health research, and the fruits of that labor have been published in many peer-reviewed articles. He also contributed to the translation of research findings into health policy advice. A selection of Daan’s research and health policy advice interests is shown on this page. Zutphen Study. Since 1978 Daan is the PI of the Zutphen Study, a prospective cohort study on diet, lifestyle and cardiovascular diseases in originally 878 middle-aged men, who have been followed for 50 years. Seven Countries Study. Daan is currently co-chair of this major prospective study on risk factors of cardiovascular diseases in 16 cohorts of 12,763 men from the USA, Japan and five European countries. Alpha Omega Trial. From 2001 onwards Daan is also the PI of the Alpha Omega Trial, the first double-blind placebo-controlled dietary intervention study in which the effect of omega-3 fatty acids on major cardiovascular events is evaluated in more than 4,800 patients after heart attack. HALE-project. Daan is also the PI of the Healthy Aging Longitudinal study in Europe (HALE) project in which 3,000 elderly men and women have been followed for 10 years. Many talented young researchers participated in Daan´s research projects, 48 defended succesfully their PhD thesis, and eight of them became full professor. Daan Kromhout is Vice-President of the Health Council of the Netherlands since 2005. His current main activity is the update of the Guidelines for a Healthy Diet from 2006 that will appear in 2015. Under his responsiblity advices appeared about different aspects of healthy diets, overnutrition, undernutrition and dietary reference values. The advisory reports of the Health Council can be downloaded from www.gr.nl. 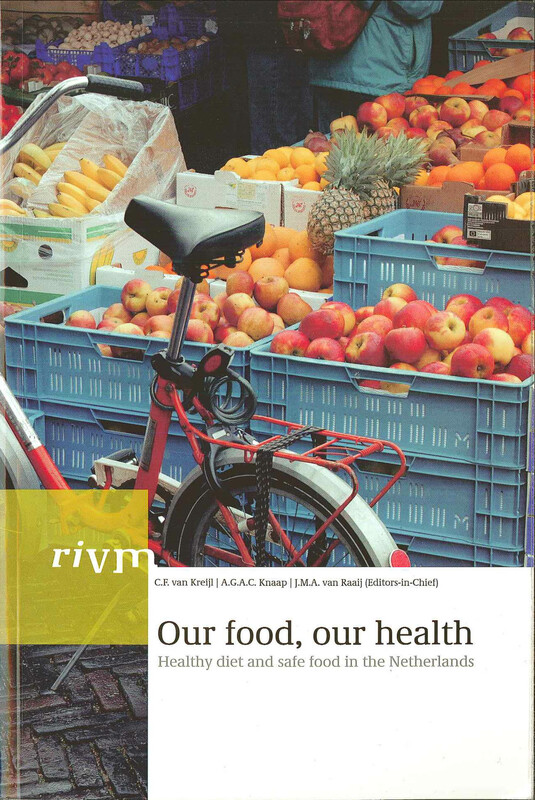 As Division Director of the National Institute for Public Health and the Environment (RIVM) Daan was responsible for publications requested by the Minister of Public Health such as “Our food, our health” about healthy diet and safe food in the Netherlands of which the Dutch version was published in 2004 and the english version in 2006. This was for years the most frequently visited document of the RIVM website and can be viewed from www.rivm.nl. The Zutphen Study was funded by Netherlands Health Foundation (Praeventiefonds), European Union, National Institute of Aging USA, Dutch Heart Foundation, Netherlands Nutriton Council, Food Organisation TNO. The Alpha Omega Trial was financially supported by the Dutch Heart Foundation, National Institutes of Health (NIH), USA and Unilever Research. Unilever paid for the development, production and distribution of the trial margarines. Kreijl CF van, Knaap AGAC, Raaij JMA van (Editors-in-chief), Busch MCM, Havelaar AH, Kramers PGN, Kromhout D, Leeuwen FXR van, Van Leent-Loenen HMJA, Ocké MC, Verkleij H (Editors). Our food, our health. Healthy diet and safe food in the Netherlands. RIVM, Bilthoven, The Netherlands. ISBN 90-6960-135-4. 2006:1-363. Evaluation of dietary reference values for vitamin D.
Guidelines for a healthy diet: an ecological perspective. Healthy nutrition: a closer look at logos. Guidelines for a healthy diet 2006.